From baseball to hot dogs to fireworks on the 4th of July, InterExchange participants experience many different aspects of American culture during their time in the U.S. This past August 1st, it was the American commitment to community service, volunteerism, and giving back to your community that took center stage. 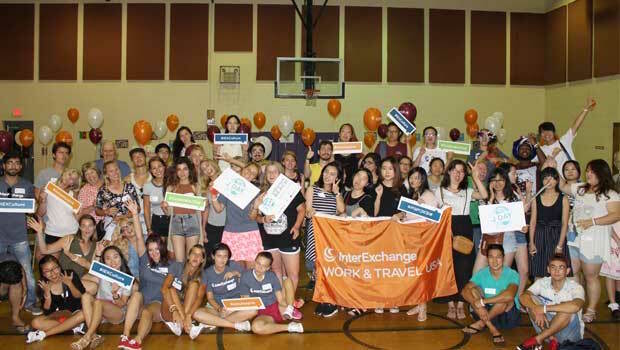 InterExchange participants in our Work & Travel USA, Au Pair USA, and Career Training USA programs engaged in two community service events – one in Virginia Beach and one in New York City – that directly addressed the issues of hunger and poverty on both local and global scales. 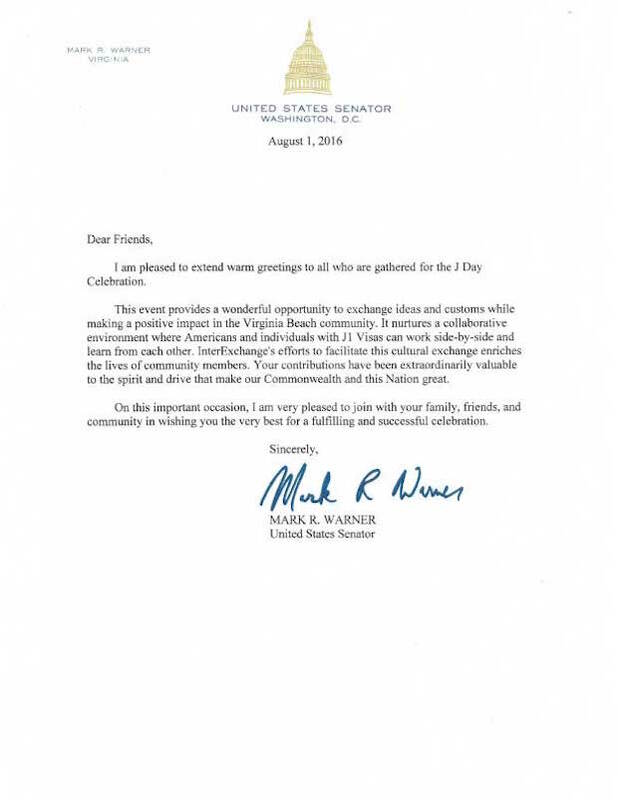 We organized these events to mark J Day, a nationwide celebration of the power of international exchange. J Day offers a unique opportunity to bring together State Department J-1 visa Exchange Visitor Program participants, their American host communities, and their American friends, to share cultural diversity and American customs, to give back to local communities, and to have some fun. 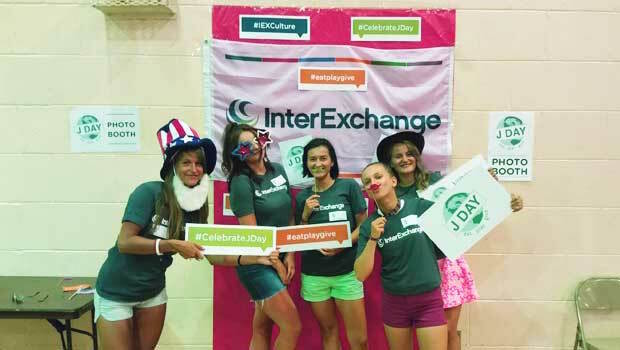 "This event provides a wonderful opportunity to exchange ideas and customs while making a positive impact in the Virginia Beach community... InterExchange’s efforts to facilitate this cultural exchange enriches the lives of community members." InterExchange participants around the country also joined the celebration by attending other J Day events and engaging in a variety of activities that support U.S. key foreign policy areas, including fostering environmental stewardship and supporting a spirit of volunteerism. In Virginia Beach, VA, InterExchange partnered (for the second year in a row) with Stop Hunger Now and hosted a meals-packaging event at a local community chapel. 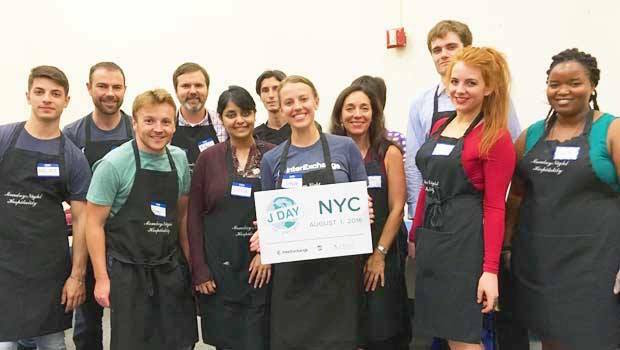 Our group of more than 80 international exchange participants and local volunteers packaged 10,152 nutrient rich meals for undernourished people globally. Exchange participants from countries like Russia, China, Turkey, Romania, and Ukraine volunteered side-by-side with their American hosts and learned creative ways to help communities worldwide. 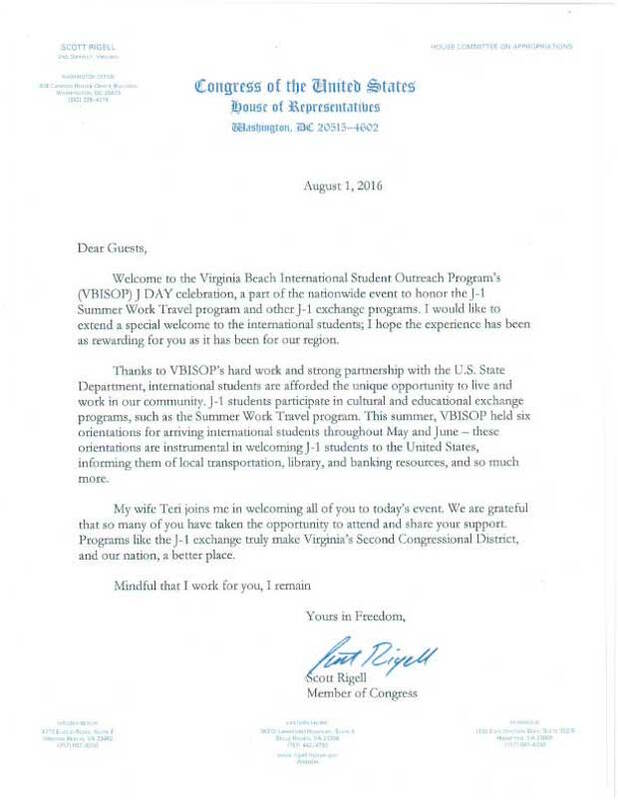 As Nancy Perry, our Eastern Regional Director and the Chair of the Virginia Beach International Student Outreach Program (VBISOP), told the Virginian-Pilot, this event was an opportunity to give something back to the community that has welcomed them for the summer. Honored guests who joined the J Day service celebration in Virginia Beach included Drew Lumpkin from Senator Mark Warner’s office, Esmel Meeks and Jaquelyn Murray from Congressman Scott Rigell’s office (the Congressman also wrote a letter welcoming and thanking the international participants), and the Virginia Beach Councilwoman, Shannon Kane. InterExchange is very grateful to have the support of these guests! "Our event really makes an impression on our summer work travel students. The American commitment to service is something they remember and take back with them to their home countries." 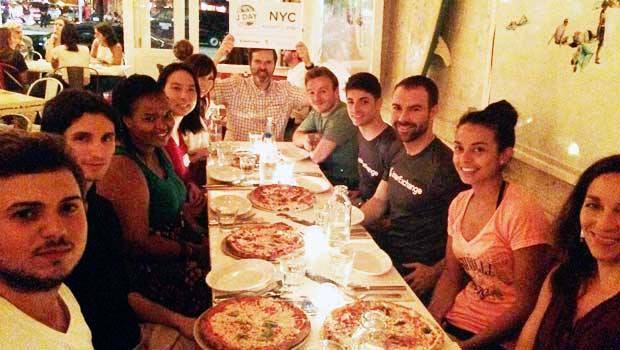 In InterExchange’s home community of New York City, a group of 15 international exchange participants and local volunteers engaged with the All Souls Church on Manhattan’s Upper East Side to facilitate their “Monday Night Hospitality”, an event that serves quality hot meals to about 300 people in need each week. All Souls told our volunteers how this weekly evening meal is often one of the few things that the guests – who are going through difficult times in their lives – can really rely upon. They also explained that this is not just a time for the guests to nourish themselves, but also a chance for them to relax, socialize, and have a good time. They stressed that our job as volunteers was first and foremost to interact with the guests and help each of them have a great experience. The duty of serving the food came second to serving the cause by making eye contact and small talk and showing kindness. This mission paired perfectly with the goals of J Day, as our participants got to share their own stories and enthusiasm with the guests, all while serving them a hot meal. "Helping who is in need is always one of the best ways to feel closer to another culture, as conditions of distress can be found all around the world... You can discover many aspects of life that noise around you makes you pretend not to see." We all enjoyed a hard-earned pizza dinner! After the dishes were washed and the tables and chairs were put away, InterExchange invited all the volunteers to a local pizza restaurant where we could get to know each other better and discuss the event. Everyone came away feeling great about J Day, Monday Night Hospitality, and the idea of giving back!